unique for offering entirely oceanfront accommodations. Each and every one of our 64 fully-appointed and beautifully-maintained condominium units are directly beachfront. Your breathtaking views of the Gulf of Mexico start right from your very own living room. And from the moment you step out onto your private lanai, you’ll know that you’ve discovered a very special place. Leave the rest of the world behind as you breathe in the tropical air, feel the gentle gulf breeze and lose yourself in the sound of soft, rolling waves. 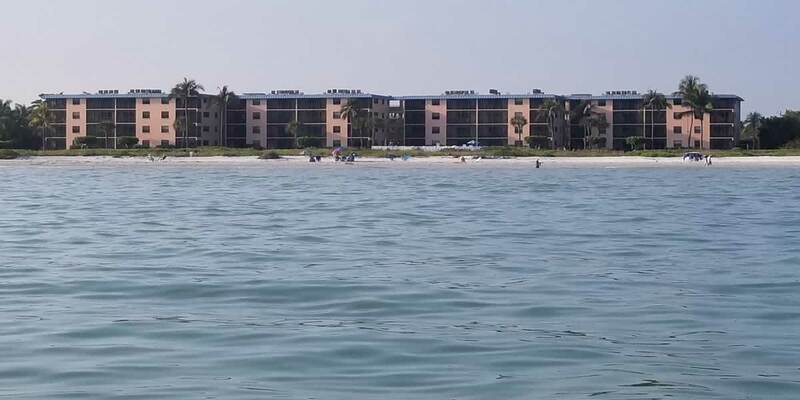 Ocean’s Reach is a kaleidoscope of the very best that Sanibel Island has to offer: a gorgeous world-class beach with incredible shelling, along with an endless array of relaxing recreational activities, remarkable wildlife, and spectacular sunsets. We also feature flexible scheduling and some of the most affordable oceanfront Sanibel rental rates available. Not to mention a knowledgeable staff and the friendliest hospitality on the island. We invite you to learn more about our much-beloved little spot on Sanibel Island and discover why so many of our guests return to Ocean’s Reach time and time again.